How can we learn healthy habits? 1st grade boys are learning all about staying healthy. First we studied teeth, then germs, and now we are studying bones. We are practicing our predicting and observation skills. 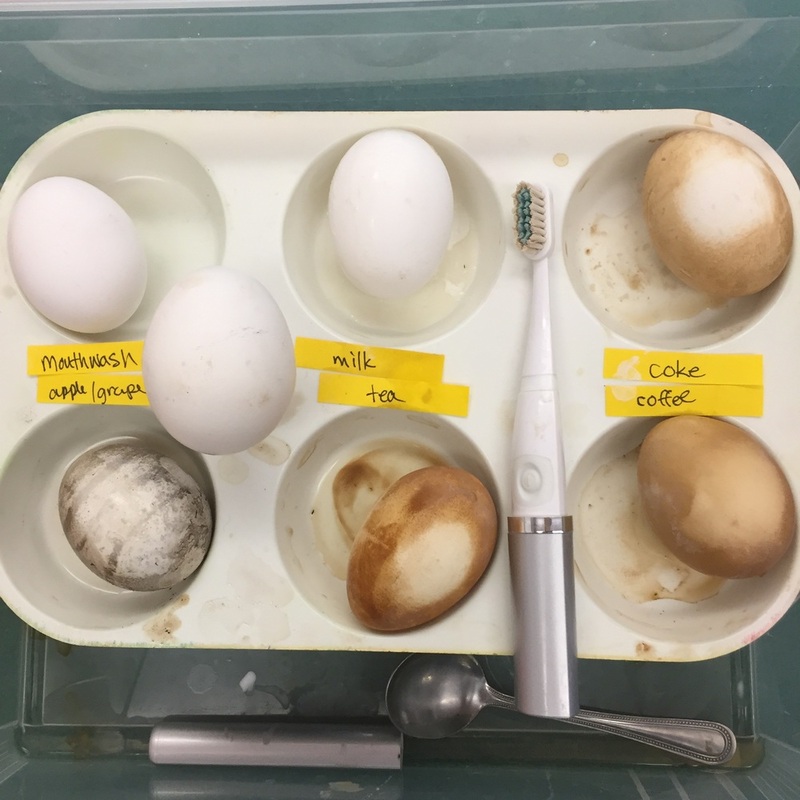 Here, hardboiled eggs are soaked for 24-hours in various liquids - mouthwash, milk, coke, coffee, tea, and apple-grape juice. Look at how much the egg shells stained. Then we used and electric toothbrush loaded with tooth paste to see of we how well we can clean our shells. Everyone is so excited about sharing their tips for healthy teeth and smiles. After looking at germs collected from teachers' teeth, boys were inspired to swab areas around the science room, their classroom, and around the school. Look at what grew! Feeling inspired, boys observed their germ collection under a microscope then learned how to draw bacteria and viruses.